By Christianne M. Witten, Chief of Navy Chaplains Public Affairs (posted by U.S. Navy Chaplain Corps, March 25, 2014). Lt. J.G. Florence Dianna Pohlman, first female chaplain in the DoD to be commissioned, July 2, 1973. 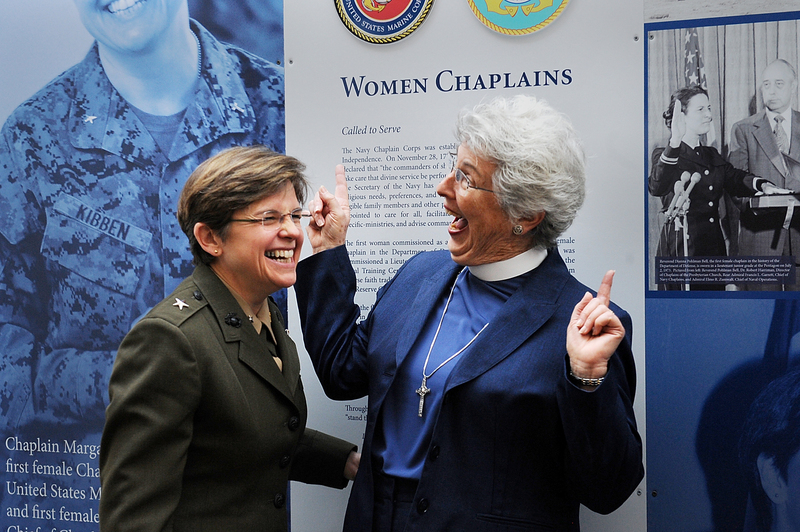 March is Women’s History Month, and it seems fitting to honor the faithful individuals who’ve answered the call to serve our Sailors, Marines, Coast Guardsmen and families in the Navy Chaplain Corps for more than 40 years. 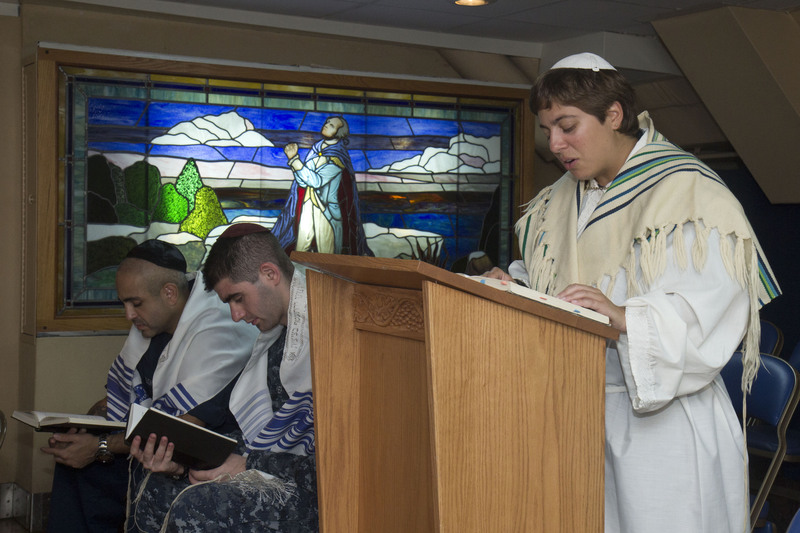 The Navy was, in fact, the first service in the DoD to commission a female chaplain. Lt. J.G. 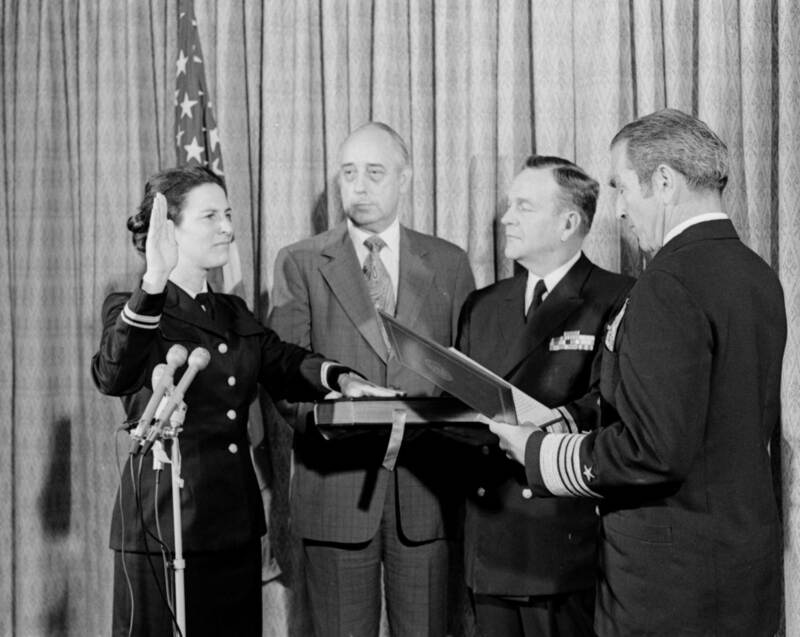 Florence Dianna Pohlman was commissioned on July 2, 1973. “Every woman that goes into military chaplaincy is a pioneer in her own right to choose to enter into and serve within a predominantly male profession and organization,” Rev. Dianna Pohlman-Bell shared in an interview at last year’s 40th anniversary of women in military chaplaincy event. While she faced a lot of resistance and pressure to get out, she knew it was “essential to survive and fulfill my commitment for the women that would come after me,” she added. 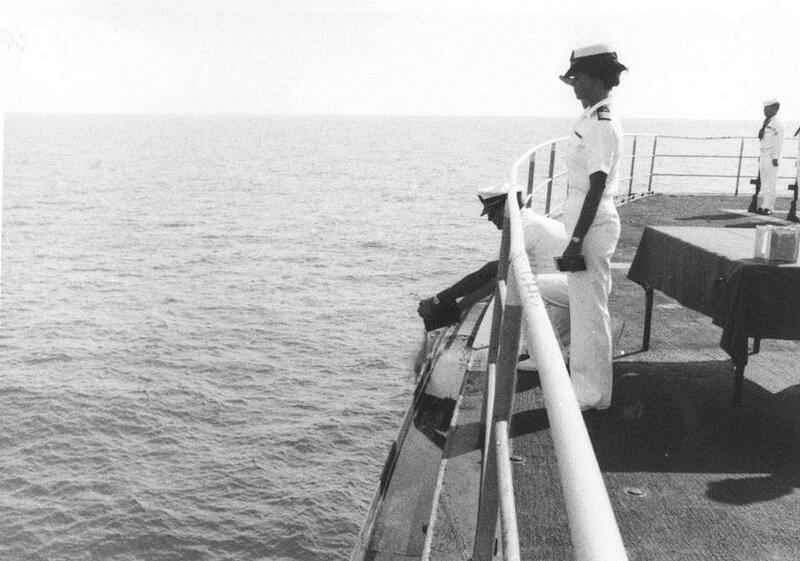 “In celebrating the gifts of our heritage, may we also share the stories of the sacrificial ministry all chaplains-counting women equally among them-have provided at sea, in the air, with boots on the ground, in hospitals, training centers, and at home.” -Rear Adm. Margaret G. Kibben, the first woman promoted to rear admiral in the Chaplain Corps and the first woman to serve as deputy chief of Navy chaplains/chaplain of the Marine Corps. 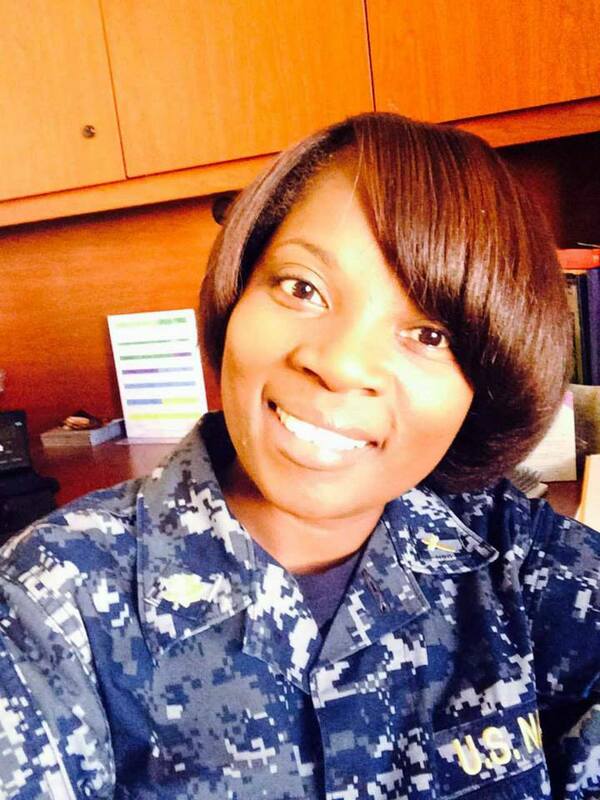 “They’re senior chaplains whose shoulders I stand upon in regards to being a Naval Officer and female chaplain. I have spent countless hours in their presence, learning under their tutelege how to balance being a Pastor and Naval Officer. We are called to do both, and they have helped me understand work/life balance and the art of intentional self-care which I am still learning to put into practice,” said Chaplain Kimberly Cain when reflecting on her mentors: Chaplain Melody Goodwin, now retired, and Chaplain Brenda Bradley-Davila, pictured below. “It’s essential that we value the diverse talents of all of our chaplains in order to meet the vast religious needs of our diverse people.” -Chief of Navy Chaplains Rear Adm. Mark L. Tidd. The expeditionary nature of the maritime mission places Navy chaplains-both women and men- on a broad range of platforms for ministry. From flight decks of aircraft carriers in the Arabian Gulf, to forward operating bases in Afghanistan, to the bridge of Coast Guard Cutters in the Central Pacific-Navy chaplains remain on the frontlines, providing a ministry of presence to our warfighters. “Everyone comes with so much to offer, yet often they don’t see what’s inside them. As a chaplain, I need to help them fulfill their purpose in life.” -Chaplain Brenda Bradley-Davila. 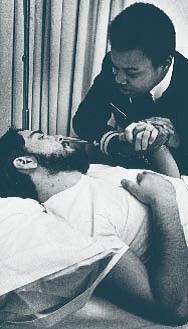 Lieutenant Vivian McFadden comforts a patient at the Regional Naval Medical Center in Oakland, Calif., 1976. 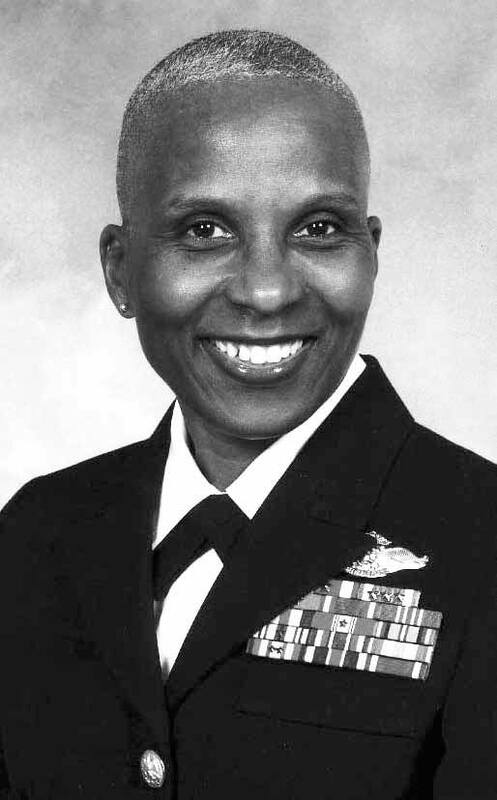 In 1974, she became the first female African American Navy chaplain. Lt.Cmdr. 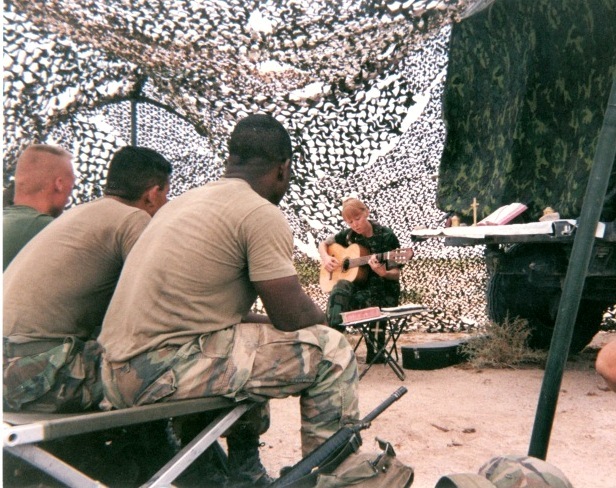 Mary Ellen Washburn, the first female chaplain assigned to a Marine Division, conducts a worship service with Marines from Second Marine Division, Fleet Marine Force Atlantic, circa 1992. Cmdr. Eileen O’Hickey conducts a burial at sea aboard the USS Emory Land, Aug. 11, 1992. She later becomes the first female chaplain to be promoted to Captain in 1996. 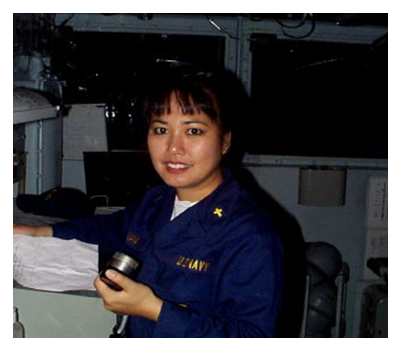 Lt. Judy Malana, the first female chaplain assigned to a guided-missile cruiser, delivers a prayer at sea during Operation Desert Fox in the Persian Gulf in 1998. She was aboard the USS Gettysburg. Lt.Cmdr. 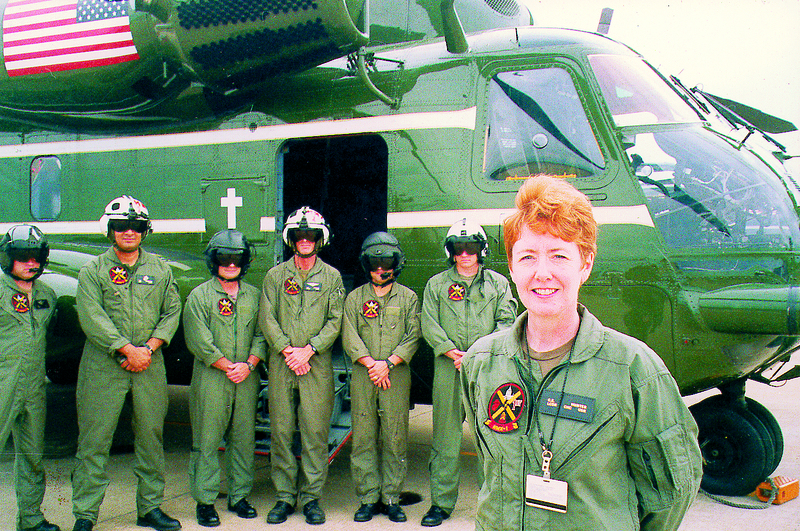 Charlotte Hunter became the first female chaplain to serve with HMX-1 circa 1998. Lt.j.g. 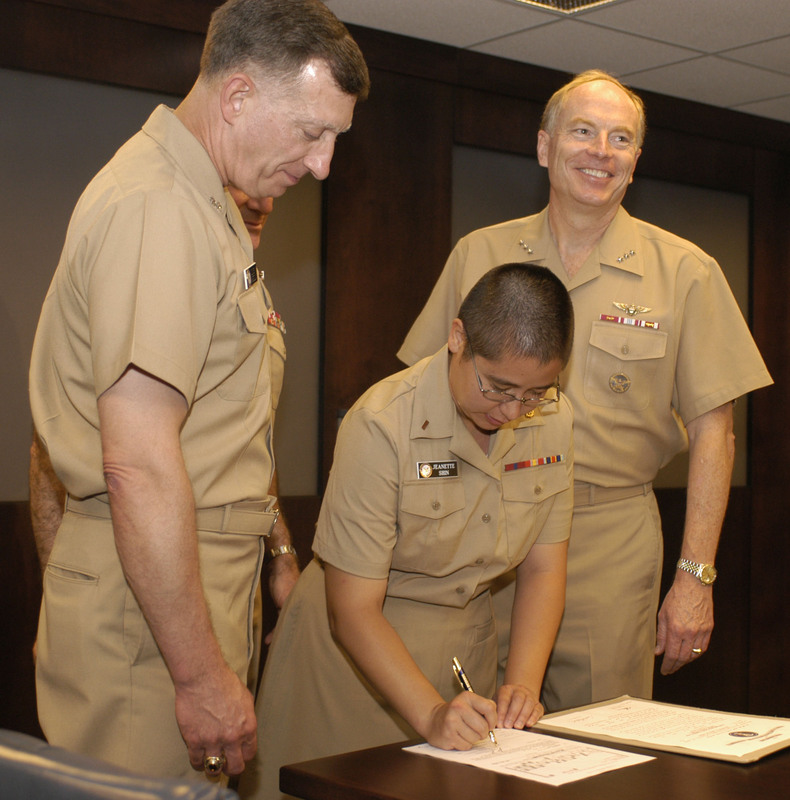 Jeanette Gracie Shin signs her oath of office at the Pentagon on July 22, 2004. 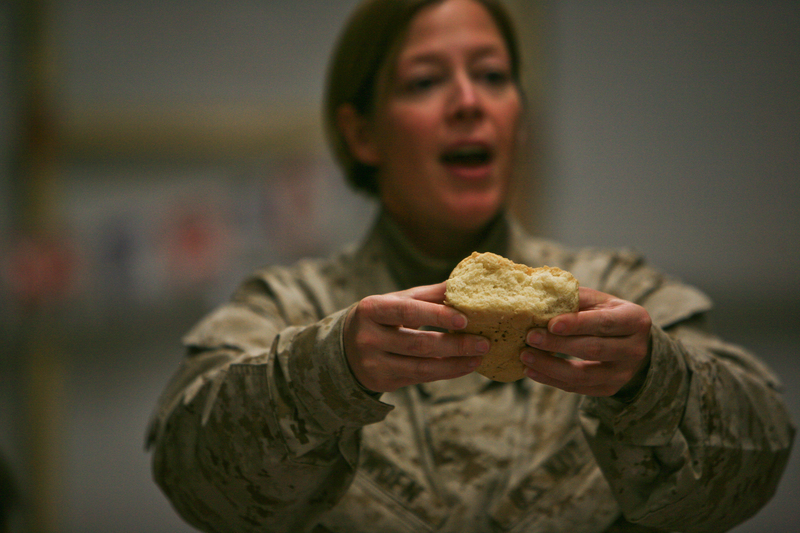 She is the DoD’s first Buddhist chaplain. 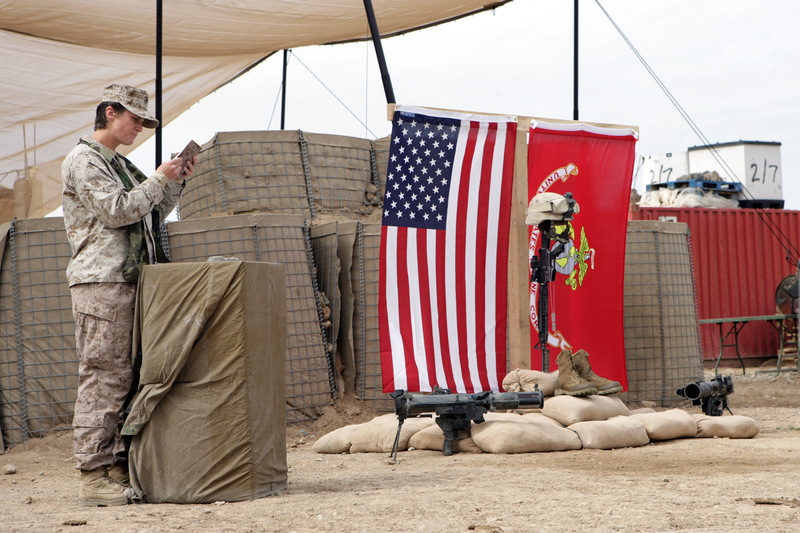 Lt. Karen Rector performs a memorial service for Marines in Iraq circa 2008. Capt. Brenda Bradley-Davila, a Navy chaplain currently assigned to NORTHCOM in Colo.
of all women who have served in defense of freedom. 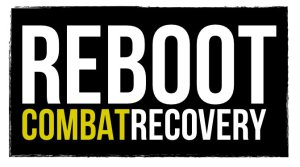 By Christianne M. Witten, Chief of Navy Chaplains Public Affairs (posted by U.S. Navy Chaplain Corps, March 25, 2014). Originally posted at the Official Blog of the U.S. Navy Chaplain Corps.